Stacy Thibedeau moved to the Vail Valley in 1995 for what she thought would be one ski season. For over two decades she has been fortunate to call the Valley home. Her background includes high-end retail sales in Vail Village, Membership Coordinator at the Vail Valley Foundation, and real estate. In 2009 Stacy took the real estate broker class and Colorado Real Estate Broker Exam. 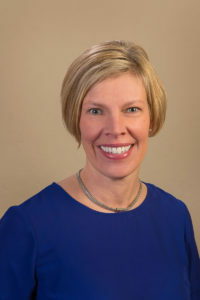 In 2012 she joined Sherman & Howard where she worked for Vail Valley Real Estate Attorneys Jim Wear, Rick Travers and paralegal Sharman Keller-Green. Stacy was able to advance her transactional real estate knowledge by working at two of the Vail Valley’s title companies, Land Title Guarantee Company and Stewart Title. With the retirement of Sharman Keller-Green from Wear Travers Perkins, LLC in 2018, Stacy was able to reconnect with the real estate attorneys she had previously worked alongside. Stacy lives in Edwards with her husband. They enjoy traveling, snow sports, culinary adventures, golf and joie de vivre!